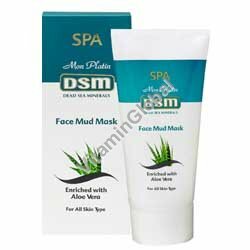 Face Mud Mask is enriched with a high content of Dead sea minerals. Based on natural mud. It cleanses and purifies the skin balances its fat level and contracts skin pores. Feel refreshed. Helpful un counteracting skin aging and wrinkling.